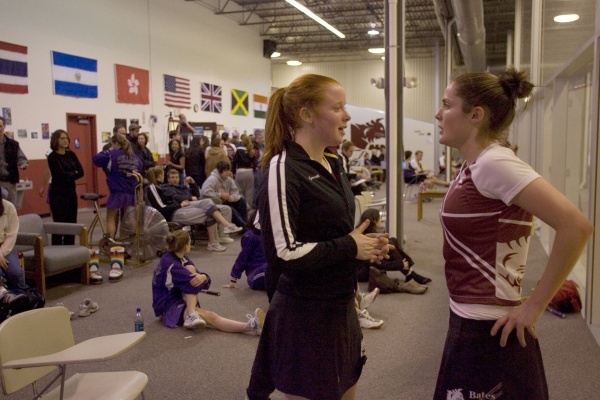 The Bates Squash Center, located at 56 Alfred Plourde Parkway, features five international-sized courts, not to mention an array of exercise equipment, comfortable couches and chairs. Both the men’s and women’s squash teams use the facility for daily practices and matches. The courts are 21 feet wide, standard width for all college squash matches.